IBM i‘s AS/400 heritage and strategic innovation point to a bright future for this strategic server that continues to support organizations in almost every industry around the world. The market for the IBM i continues to be extremely stable with 1.3% annual attrition. 24% of IBM i shops are planning to expand their IBM i footprint in 2019, which outnumbers those who plan to migrate off the platform. 71% rely on IBM i to run more than half of their core business applications, a strong indication of the platform’s stability. 92% of the respondents from IBM i Marketplace Survey believe that IBM i with Power Systems provides better ROI than other server options. The continued reliance on IBM Power Systems hardware and a dedication to keeping current with the latest technology is revealing long-term trends that give insight into the future of this trusted technology. The most popular version of the IBM i operating system is currently IBM i V7R3. The jump to 7.3 speaks to the longevity of platform as organizations continue to invest in keeping current. Since its arrival, one of the strongest features of this platform has been its upward compatibility. For the most part, you can run a program created for the AS/400 in 1988 on a Power Systems server today with little or no changes. However, there are some IBM utilities such as the IBM Advanced Function Printing Utilities are not supported on IBM i 7.3 OS. While AFP data stream and protocol might still function, the AFP Utilities and the InfoPrint tool for designing pages are not supported in 7.3 and beyond. This would indicate that you can continue to print existing applications, but that you can’t create a new form overlay or modify an existing one. AFP is an outdated technology and was always painful to work with. 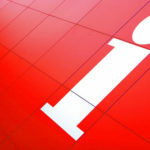 IBM sold off its printing division which subsequently removed support for AFP utilities along with the Infoprint Designer and is recommending 3rd party alternatives such as the acclaimed iDocs Forms Suite from inFORM Decisions. 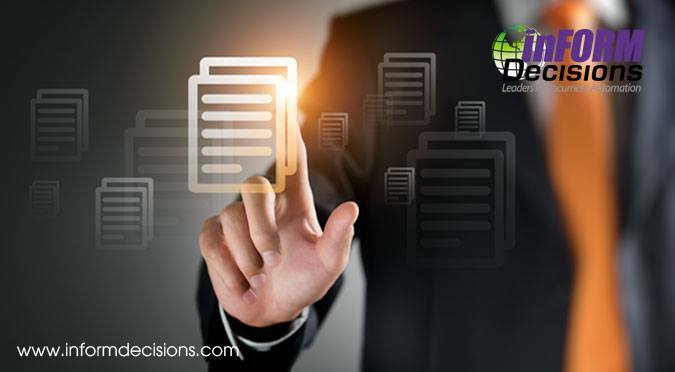 iDocs provides easy-to-use forms design and spool file data mapper with menus to set up business rules for manual or automatic processing and intelligent distribution of merged, formatted reports, forms and security MICR checks. Print in color with graphics and bar codes. Whereas most of the IBM Solution providers have evolved with the platform, some antiquated or obsolete laser forms solutions such as Jetform, Optio, Createform or Createprint, ACOM, and others, are forcing users OFF the powerful IBM i platform onto a Windows or Cloud based solution with higher costs, higher maintenance and totally new learning curves. inFORM Decisions offers a seamless, painless, and no-cost migration. Migrate to a continually developed and enhanced Document Automation solution running natively on the IBM i. Our modules include laser forms printing, laser check printing, email with PDF and Excel formats for spool and database files, document scanning and archival and document workflow. As the platform continues to evolve, becoming increasingly robust, embracing modern technologies, and giving many of the world’s top organizations a competitive edge, so do IBM i providers like inFORM Decisions. inFORM Decisions has been a Document Automation provider specializing in state of the art Document Automation solutions for the IBM i – iSeries – AS/400 arena since 1994. We believe that the IBM i/Power Systems will be relevant for a long time offering the stability and security that you’ve come to expect from IBM. inFORM Decisions is committed to the IBMi platform forever! 30 years ago IBM, with it AS/400, taught the market about the value that an integrated data base and software could deliver. Way ahead of its time, IBM designed OS/400 (and its descendants i5/OS and IBM i) as a “turnkey” operating system, requiring little or no on-site attention from an IT staff during normal operation. To facilitate this, IBM i has a built-in DB2 database which does not require separate installation. Disks provide multiply-redundant storage and can be replaced online without interruption. Hardware and software maintenance tasks are integrated. System administration has been wizard-driven for years, even before that term was defined. This automatic self-care policy goes so far as to automatically schedule all common system maintenance, detect many failures and even order spare parts and service automatically. Organizations using the IBM Power Systems sometimes have sticker shock when confronting the cost of system maintenance on other systems. The early IBM System/36 and IBM System/38 series customers were a key target of the AS/400, so OS/400 (i5/OS and IBM i), have built-in subsystems that provide backward compatibility with these earlier IBM general business systems. For this reason, long time users, of which there are many, still refer to the platform as the AS/400. The current user base remains strong and committed and various user groups have played a major part in the evolution of the IBM i. Make no mistake, Power Systems and the IBM i are far from their 30 year old roots and green screens. They have been transformed. Built to crush the most advanced data applications, from the mission-critical workloads run today to the next generation of Artificial Intelligence. This platform remains relevant for modern businesses today and in the foreseeable future. The Power Systems server and IBM i can accommodate emerging technologies such as mobile access and cloud computing. It can also run and interact with cognitive applications on other platforms. IBM Power Systems are ranked No. 1 in every major reliability category by ITIC and deliver the most reliable on-premises infrastructure to meet around-the-clock customer demands. The true source of this platforms’ staying power through numerous generations of business computing comes from a wide-ranging group of talented business partners and their commitment to providing essential tools for modern computing. Importantly for Power Systems and IBM i users, partners such as inFORM Decisions have been around to provide innovative business solutions. Since 1994, inFORM Decisions has been a Document Automation provider specializing in state of the art Document Automation solutions for the IBM i – iSeries – AS/400 arena. inFORM’s biggest strength is that their solutions have always run natively on the IBM i and they continue to develop and enhance for this platform. inFORM customers appreciate this commitment and new customers are acquired every month who for various reasons are being forced to a much less efficient and less stable PC based solution. This platform can do anything and after 30 years of innovation is just beginning. Just ask the users! inFORM Decisions is committed to the IBM i Power Systems platform forever! In the U.S., companies spend more than $120 billion a year on printed forms, most of which out-date themselves within three months’ time. A typical employee spends 30-40% of his time looking for information locked in email and filing cabinets – filing costs average about $20 per month. Each misfiled document costs $125. Each lost document cost $350 to $700 – large organizations lose a document every 12 seconds. System i and Power Systems NATIVE PCL to PDF converter for Spool Files. iPDF converts standard HP Laserjet output (Printer Control Language) into the popular Adobe PDF (Portable Document Format). IBM native conversion eliminates the need to download to a PC (or secondary server) to process PDF files, thus improving security and speed of PDF document conversion. Much more than a simple conversion tool, iPDF enables report distribution, PDF document archival and retrieval, bursting, sorting and outputting PDF reports and custom business forms in the open PDF standard where they can be easily viewed using the free Acrobat Reader. Email has had the biggest impact, allowing communications to become electronic with the ability to attach digital documents. Our iMail product is an example. This is very suitable for lmost business correspondence with the ability to format spool file reports into popular formats like Excel, color PDF, HTML, ZIP, RTF and more. iMail provides much more than simple email delivery. From your AS/400, iSeries, IBM i, and Power Server, you can send messages, business documents and spool file reports in easily readable formats. iMail enables organizations to upgrade to a paperless environment, saving time and money due to more efficient document management and distribution. Sharing business documents such as sales or supplier contracts that require controlled access on an ad-hoc basis can be accomplished by use of versatile tools like iWorkflow which provides the ability to take any business process, and create a digital copy. A digital workflow allows you to streamline business processes and route documents throughout the organization. Managers now have a looking glass into any process, and readily accessible reporting and metrics. Workflow business apps help you streamline your business processes — expense claims, customer onboarding, travel requests or any other organizational business workflow. Using workflow, data, forms and report are connected to the authorized parties providing efficiency and productivity. Scanners are one of the most essential tools for a paperless office. They can convert paper documents into digital files, which are then ready for mass distribution over an email system rather than through paper memos. Large-format scanners can convert blueprints, contracts and other large documents into digital files. In addition, high-speed scanners can quickly scan multi-page documents, or even books, eliminating the need to store the paper copies. With an array of scanning devices, capture needs and back-end content management systems, it is ineffective to settle for multiple applications to accomplish one goal. iCapture provides a single capture platform that can meet all the needs of an organization: document scanning and import, forms processing, data capture, OCR/ICR, data extraction and the ability to migrate the information into a back-end. The iCapture advanced capture system enhances the capabilities of any scanning device, providing a powerful on-ramp to any Enterprise Content Management (ECM) or Document Management Systems (DMS). With iSign documents are efficiently captured, stored, secured and backed up with peace of mind that they can’t be damaged by flood, fire or accessed by unauthorized users. Documents can be easily retrieved or routed through a web browser, from any location at any time. iView is the Web-based Content Management Solution for the iSeries, System i and Power Systems native document archive – retrieval solution performing content management functions to enable the capture, storage, indexing and retrieval of spool files, merged documents and scanned forms so they are accessible via a web browser by anyone, anywhere, anytime. iCapture extends iView’s capture, indexing and storage capabilities to hard copy documents for a complete browser-accessible repository. Since 1994, inFORM Decisions has been a Document Automation provider specializing in state of the art Document Automation solutions for the IBM i – iSeries – AS/400 arena. We are committed to the IBM i iSeries AS/400 platform forever! Call (800) 858-5544 / (949) 709-5838 or visit us at www.informdecisions.com for more information about our acclaimed suite of products and see how we can help you reduce paper, increase productivity and lower your costs. AS/400, iSeries, and Power Systems (IBM i) Native PCL to PDF converter for Spool Files,iPDF converts standard HP Laserjet output (Printer Control Language) into the popular Adobe PDF (Portable Document Format). Much more than a simple conversion tool, iPDF enables report distribution, PDF document archival and retrieval, bursting, sorting and outputting COLORED PDF reports and custom business forms in the open PDF standard where they can be easily viewed using the free Acrobat Reader. The IBM i (iSeries, i5, AS400, Power Systems) platform has been delivering valuable new business capabilities for many, many years. As new generations enter the IT world, many have diverse backgrounds that lack specific knowledge of the ‘i’. New managers inherit legacy systems that they don’t always understand and may question the future of the IBM i.
IBM has made it easier than ever to develop solutions on IBM i by making the most popular native language (RPG) capable of using some of the newest technologies (services, XML, etc. ), They have also added new languages and improved the strategic development tools both in function as well as in platforms supported. The IBM i development team is currently working on the releases after 7.3 and will be delivering many new capabilities to the platform in the next several years. IBM has always listened to their solution vendors and will empower the technologies they see as important to them and their future. IBM is committed to investing in the programming languages, environments and tools which will be needed to build the solutions. In the past several years, one of the key technologies we’ve needed to enable is mobile devices. There are now tools that make it easy to transform your 5250 green screens into stunning RPG, PHP and mobile applications by using your existing development skills and IBM i assets. We are seeing software vendors offering frameworks that make it easier for developers to create native applications specifically built so RPG apps can be extended to run natively on the iPad, and other mobile devices. These frameworks are not unique to RPG and exist for other programming languages as well. IBM i clients predominantly use their systems on site, but in line with evolving technology trends, many are considering cloud options for their everyday business applications. In response, IBM has recently introduced new end-to-end solutions that better connect the IBM i to the cloud. One of the key growth areas for the platform is when it’s used by software providers to provide Software as a Service, or Cloud-based solution. Additionally IBM and its many partners are finding new ways to provide value to some of their clients by providing cloud services, whether it’s backup in a cloud or fully hosting customers. IBM is dedicated to making the combination of IBM i and Power Systems as good in that cloud environment as they have always been if you own the box on site. Simplified security and availability have been the hallmarks of this platform from the day it was created, and IBM is continually working to ensure they remain strengths making it one of the most reliable, secure and trusted platforms in the industry. In association with committed software partners such as inFORM Decisions, which has been a Document Automation provider specializing in state of the art Document Automation solutions for the IBM i – iSeries – AS/400 arena since 1994, we believe it is clear that the IBM i systems will be relevant for a long time offering the stability and security that you’ve come to expect from IBM i. inFORM Decisions is committed to the IBM i iSeries AS/400 platform forever! The iSeries/AS400 contains an integrated file system (IFS). This means applications written on other file systems, PC, Unix, etc., can access data stored on the AS/400. The IFS integrates all file systems on the AS/400 with one interface and one set of rules. How the AS/400 developers accomplished this was to use a single root, like a PC file system, and put all other file systems under it. From a Windows client the AS/400 would appear as a network drive. Under that drive you would have PC-like subdirectories for all the file systems the AS/400 supports. Currently there is support for PC file systems, Unix file systems, OS/400 libraries, and others. The IFS provides access to the data. The data must be in compatible format for the requesting application. The IFS includes Spool files. 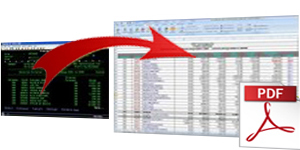 The inFORM Decisions iDocs product interfaces with both the Spool Files and the DB2 database and can create custom reports and spread sheets from this stored data. In iDocs, how do I use different logos and signatures? iDocs allows the user to configure an iSeries form or check application to conditionally print a logo based on a trigger value. You can for example, configure a form or check application to use a company number to print a corresponding logo to that number. This can be true with any trigger data and any image whether it be signatures, logos, pictures or even a completely different form overlay. Can we use form designs we already have from another forms design software? Yes. iDocs allows the user to export their iSeries forms from MS Word, Excel, Adobe, PDF’s etc. into iMap to take over data mapping and other form definitions. Can I setup reports or form to email (distribute) to multiple emails or targets ? iDocs with its Smart Routing functionality allows the user to route iSeries forms and reports to dynamic targets, such as, email addresses, fax numbers, printer output queues, or stored drives in PDF format. You can use AS400 PDF functionality to provide a paperless stream to any document management system. Can I print to a color printer natively from my IBM iSeries AS/400 ? Yes. iDocs supports printing to color PCL printers natively from the IBM iSeries. Forms can be printed in PCL or PDF NATIVELY with high quality and high speed, and no need to download to a PC server. Can I print labels with or without barcodes ? Yes on both. 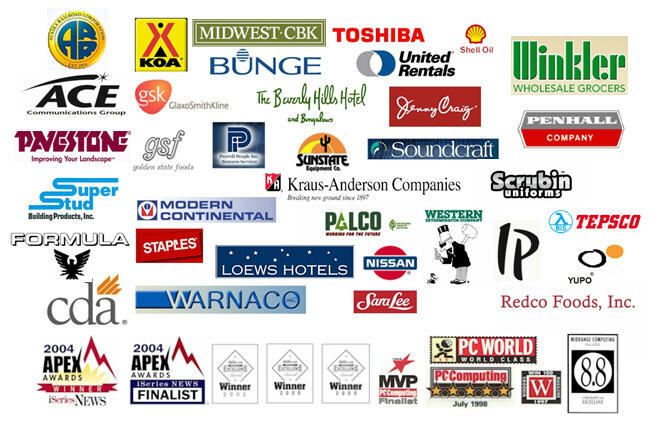 You can print labels to PCL capable printers and there are many to choose from. inFORM supports hundreds of barcode symbols. Do I need a modem or PC Server to fax documents? No. With iFax the software uses the internal IBM i modem. How much is does your product cost? This question really requires a conversation with our sales rep. There are various requirements and multiple modules and ways our product can be configured and sold. Our pricing is modular and competitive by design which allows us to package just the solution you needed without being forced to purchase a bundle of items that you don’t need. Does your product support IPDS or AFPDS ? No. On the IBM iSeries AS/400, we support PCL output which is really what 90% of the marketplace uses (HP compatible). It is usually a relatively simple switch to output SCS spool file output which can be converted to PCL. IPDS code is complex and expensive and proprietary to the IBM i, and PCL is a more broadly accepted printer datastream with more flexibility. Does your product run natively on the IBM i – iSeries – AS/400 ? What software is required for your IBM i native forms archive and retrieval module iView? The community edition of the Zend Server. You can download free from zend.com. Can I save a PDF to the IBM IFS or to a networked Microsoft Server? Yes. This requires the iPDF Monitor or iCapture modules. AS400 PDF provides all the value of having digital documents. Will the iDocs forms merge engine start automatically? Yes. Simple set this operation up through the job scheduler or the system startup program. Can iView be an export target for iCapture and what does this require? Yes. It requires ODBC connection software, which is part of IBM Access for i.